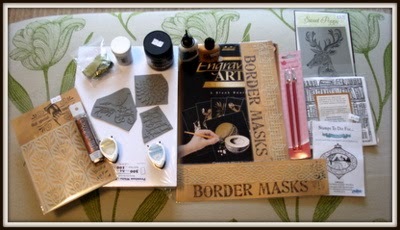 I had a fab, crafty day with Gay ( crafty musings) and we managed to get what we wanted, and more! Definitely less stands than usual and not as busy as previous shows which allowed us to pore over all the crafty goodies and demo's! Afternoon all, don't know where the sun has gone, it's warm here but so dull! Tomorrow is supposed to be better, thank goodness as I am off to Ally Pally with Gay (Crafty Musings) and It's horrible if it's wet and you have dripping brollies everywhere! 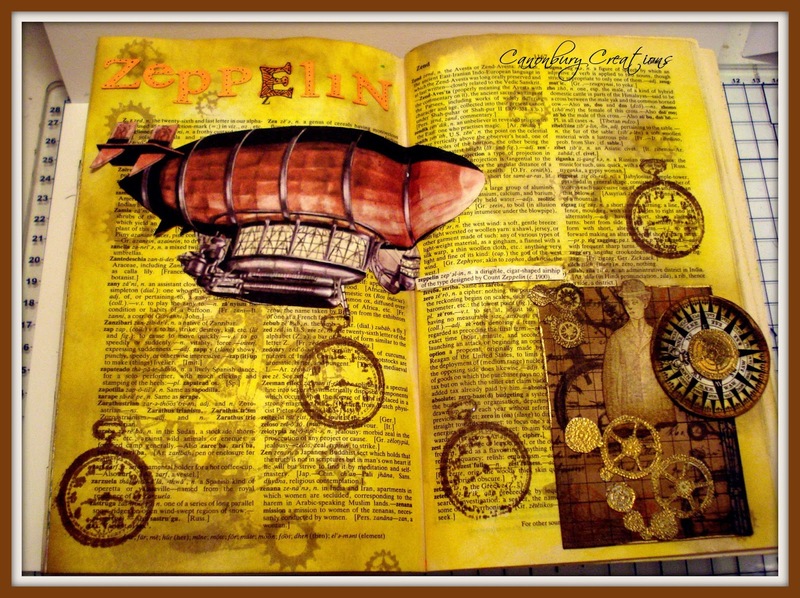 It's everyone's favourite this week... One Layer Week and hopefully this is an easy theme. 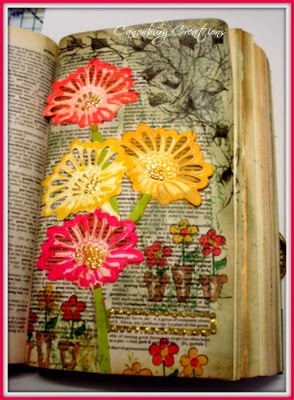 The flowers and the little bird are Majestix stamps and the sentiment was created on my xyron digital runner. 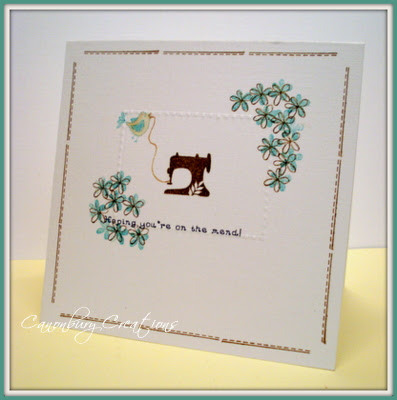 I embossed a rectangle around the sewing machine and then embossed against the lines to create a dotted stitch effect. 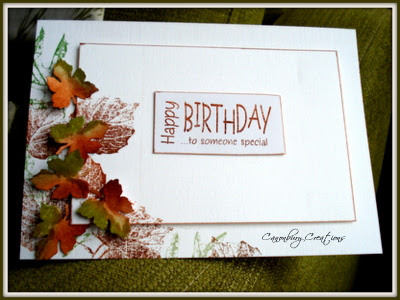 The colours for this challenge are Dark Green and Rust. I punched out some oak leaves and the sentiment is an old SeeDee one. 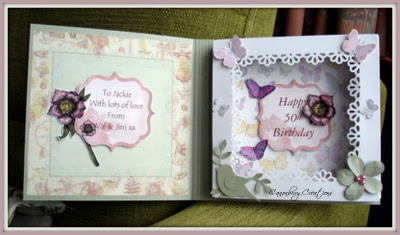 This week I have been making a book card for my lovely friend and ex colleague, Jackie who is 50 today and we are going to her celebration this evening. 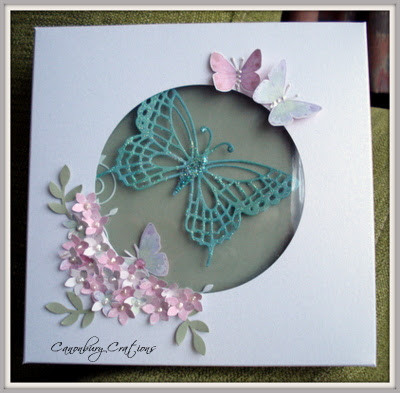 This is the box decorated with punched flowers, liquid pearls and butterflies. 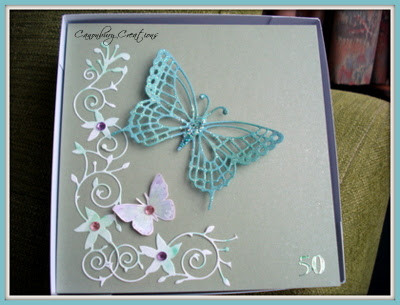 This is the card front decorated with dies and a few gems. 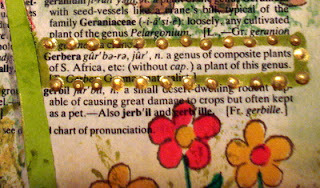 This is the inside using papers from my stash, punches and embellishments created in Craft Artist. Thanks for visiting and any comments are much appreciated. PENNY BLACK are playing along this week and offering a fabulous prize! In addition if you could use watercolours that would be wonderful! Sounds a doddle but there is a twist with the the watercolour theme. I'm not a painter and had a few failed attempts with different ideas and finally came up with two cards using different techniques. 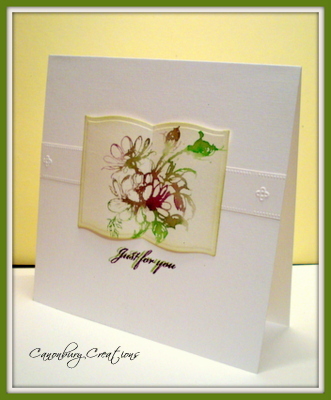 On this card I added ink to an acrylic block and stamped it onto watercolour paper. 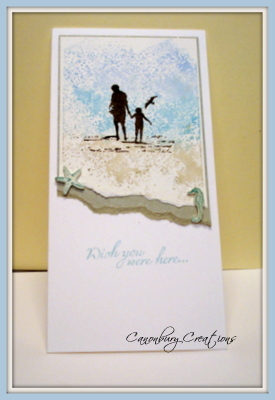 The silhouette image is a magazine freebie as are the starfish and seahorse which I stamped on shrink plastic. The sentiment is from the same set. thanks for visiting me your comments are always welcome.